The children flatware by Georg Jensen presents itself with a fine engraving of an elephant. In 1987, the Danish designer Jørgen Møller designed the bottle opener in the characteristic shape of the elephant with his grandchild. Since then, the elephant has become the iconic motif at Georg Jensen. The cutlery for children appears just as functional and decorative. It is the perfect entry-level cutlery and helps your child with fun to learn how to eat. The knife's edge is rounded so that children can't be hurt. 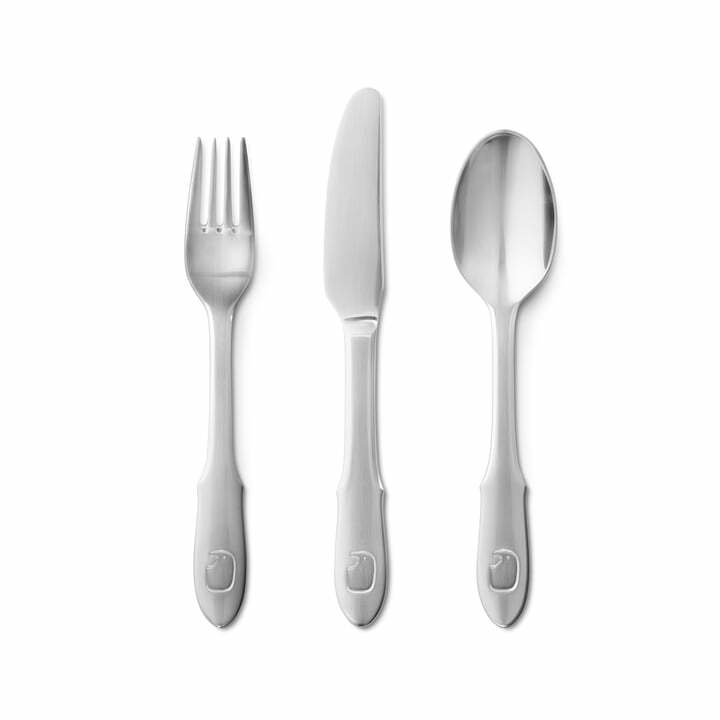 The 3 piece set - consisting of knife, fork and spoon - is made of mirror polished stainless steel. It is recommended to remove food particles immediately and either rinse the cutlery after use or clean with a paper towel. The stainless steel cutlery should not stay damp, but immediately be dried after rinsing (by hand or in the dishwasher). Also the cutlery should be kept in a dry, well ventilated room. I bought one to be the gift for my friend's new born, she is very glad to receive this special gift. The 3-piece elephant kids cutlery consisting of fork, knife and spoon with the iconic elephant motif. Ideal as a Starter Kit for your child by the manufacturer Georg Jensen.